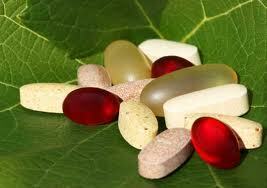 Vitamins, Minerals and Supplements | Health Articles | What are Probiotics? This article has been viewed 8911 times. We’ve all heard of antibiotics, but what about probiotics? Probiotics are dietary supplements that are designed to help maintain a healthy balance of microorganisms, including beneficial bacteria, in the intestinal tract. In the healthy human digestive system are found some 400 types of beneficial bacteria that keep the growth of harmful bacteria in check and keep the digestive system running properly. You should thoroughly research any probiotics you consider taking. Different brands may have different ingredients and different levels of probiotics. Dietary supplements are not necessarily standardized in their manufacture, so how well they work for you may differ from one brand to the next. Therefore, it’s a good idea to order a small quantity to start with and see for yourself how well they work before committing to ordering a larger supply.